Bacteria typically have an unpleasant reputation. Commonly thought of as “germs,” bacteria make up 2-5 lbs. of our body weight, weigh as much as our brain, and thrive inside our gut. These bacteria existing in our intestines are termed microbes for the fundamental role they play in human physiology and development of disease for the short-term and long-term. The food we choose to eat influences the types of microbes that live in our gut, which consequently dictates our health and well-being. Such diseases include Type 2 Diabetes, metabolic syndrome, immunity, brain health, chronic kidney disease, and cardiovascular disease (CVD). As disease influences physiological and biochemical changes, it also stimulates change within the human gut microbiome. Native to the gut, these microbes control 90% of our bodies, leaving us more bacteria than human (1). 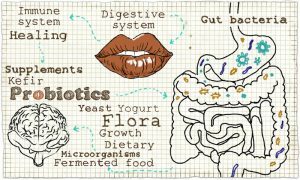 Our gut microbiome, the community of bacteria that lives in our gut, continues to develop and diversify as we age and reflects what we eat. An imbalance of healthy and unhealthy microbes in your gut is called gut dysbiosis. This imbalance may contribute to weight gain in addition to the development of other diseases ranging from Type 2 Diabetes to CVD. Your body’s ability to break down carbohydrates, such as bread, granola bars, and pasta is heavily influenced by the type of bacteria you have in your gut. A poor ability to break down the bread on the sandwich you had for lunch may result in high blood sugars and the potential onset of Type 2 Diabetes over a period of time. You can combat this issue by including a variety of foods in your diet and minimizing your intake of highly processed, high sugar foods. A diet rich in lean protein, whole grains, fruit, and vegetables are the foundation for a healthy gut and a healthy life! Certain diet strategies can be effective, but sticking to these four general, simple steps can help you to create healthy and balanced meals that promote great gut health. Incorporate a variety of lean proteins, whole grains, fruits, and vegetables into your daily intake. Your gut will thank you, and so will your overall health! 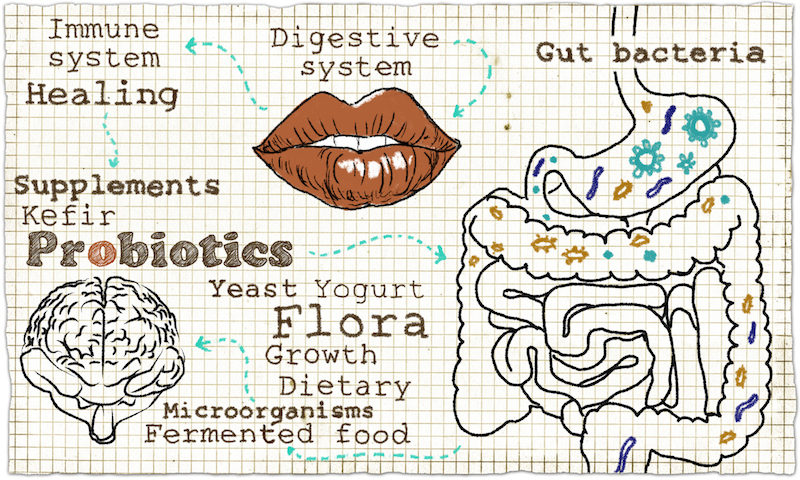 Eat fermented foods and yogurts. 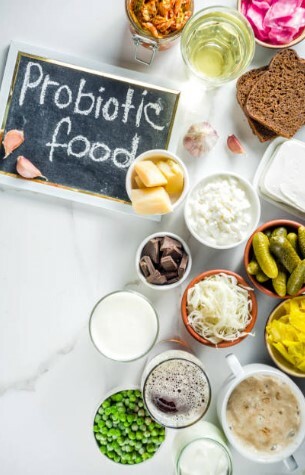 Enjoy fermented foods such as tempeh, kimchi, kefir, and yogurt – all excellent sources of probiotics and a step in the right direction to optimal gut health. Limit highly processed, high sugar foods. Try limiting highly processed, high sugar foods by opting to drink liquids like water, low-fat milk, or sugar-free beverages. You can also cut down the number of times you eat out in a week. If you find yourself getting take out 3 or 4 times, limit yourself to 1 to 2 times a week and substitute for a home-cooked meal. Focus on eating mostly whole, plant-based foods. Focusing on eating mostly whole, plant-based foods can be simple. Start by filling half of your plate with vegetables each meal – fresh or frozen! Rachel is a dietetic intern at the University of Maryland College Park. After undergoing two ACL reconstructions, Rachel developed an interest in the human body and rehabilitation. During a summer studying sport, health, and exercise science at Brunel University London, Rachel realized the paramount role nutrition plays in health and well-being. She aims to inspire others to take care of their mind, body, and soul through nutrition and movement.